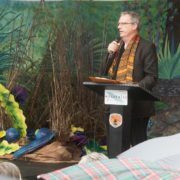 At the end of 2015 Richard Mackay stepped down a Chair of the Greater Blue Mountains World Heritage Area Advisory Committee. The Advisory Committee is jointly appointed by the NSW Minister for Environment and Heritage, in conjunction with the Commonwealth Minister for the Environment to provide advice on the protection, management, presentation and celebration of this iconic World Heritage property which covers more than a million hectares. Richard was originally appointed to the Committee in 2006 and became Chair in 2011. 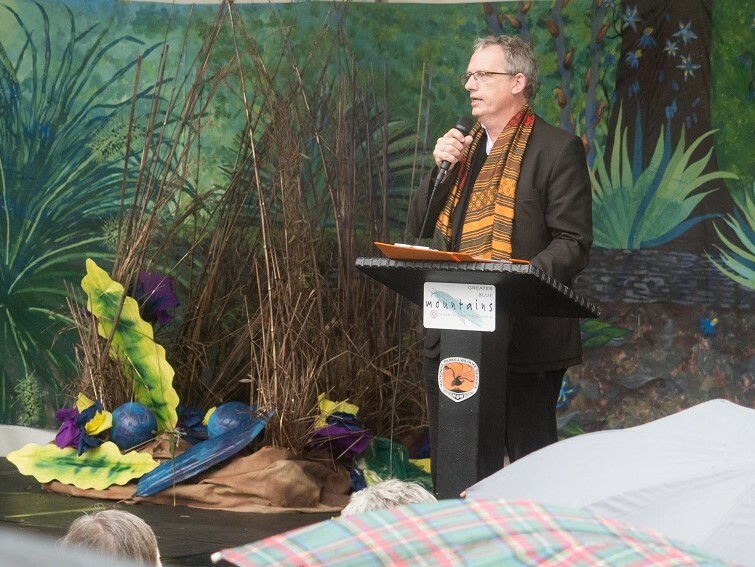 During this time involvement of Traditional Owners from the six Aboriginal language groups has been strongly supported, and major projects such as the Three Sisters walking Track have been completed. Values for a New Generation: a publication of essays about the Greater Blue Mountains, prepared by the Advisory Committee to inform and support re-consideration of the property for inclusion on Australia’s National Heritage List for additional cultural and natural values was launched at Govetts Leap in November 2015. In particular, I wish to acknowledge the contribution of Prof Richard Mackay, who having served since the original appointment of the Committee; the last 5 years as its Chair, will step down at the end of this year. Richard enjoys an international reputation in heritage management, and is currently a cultural heritage adviser to the World Heritage Committee. The World Heritage Area is fortunate to have reaped the benefits of his energy, clear thinking and persuasive, values-based approach. Mackay Strategic has been providing advice to the Conservation and Environment Protection Authority in PNG about possible future nominations to the World Heritage List. 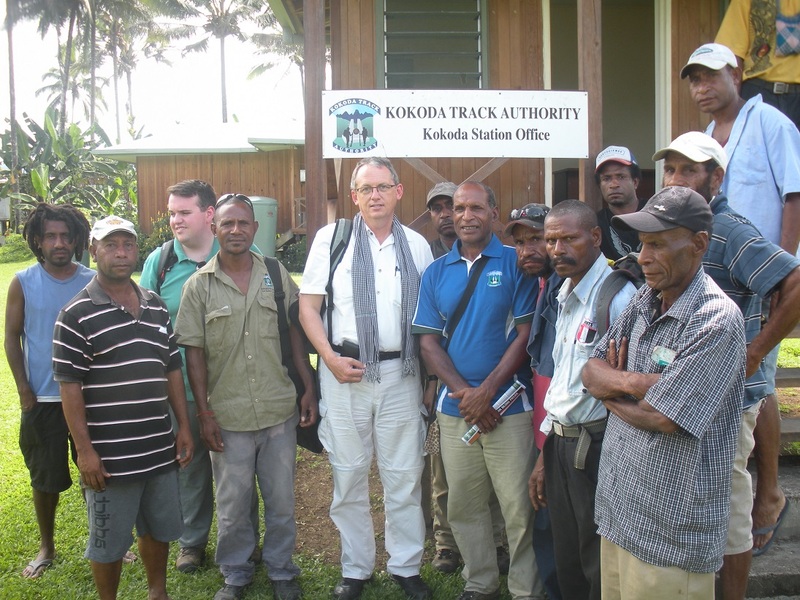 PNG is a signatory to the World Heritage Convention and the Government of Australia has been providing support to PNG in fulfilment of its obligations, particularly through the Kokoda Initiative. During meetings and workshops and in both Cairns and Port Moresby, Richard Mackay (Mackay Strategic) and Peter Hitchcock provided advice about a possible approach to future World Heritage nominations. 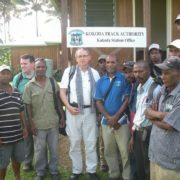 Richard’s contribution was focused on the Kokoda Track and Owen Stanley Ranges, following a ‘roadmap’ report prepared by GML Heritage in 2015. Peter provided a briefing on places which have been identified, assessed and are considered to meet the relevant criteria for Outstanding Universal Value. 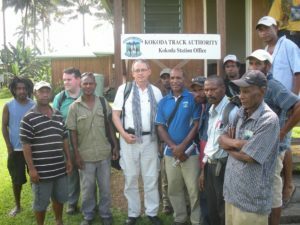 Participants included representatives from the Australian and PNG Government, representing different agencies and the PNG World Heritage Committee. Discussions were focused on requirements for World Heritage nomination, the selection of potential sites, the need to establish a coordinated program and the importance of protection and management, as well as integrity and authenticity to establishing and maintaining Outstanding Universal Value.